THOSE against a proposed Somerset development claim the population density would be higher than inner-city Brisbane. Roubaix Properties is proposing to build a relocatable home park on Banks Creek Rd at Fernvale. The proposal is for 100 residential lots on the 4.54 hectare site. The development has residents angered, with many warning the project would completely change the atmosphere of the township. 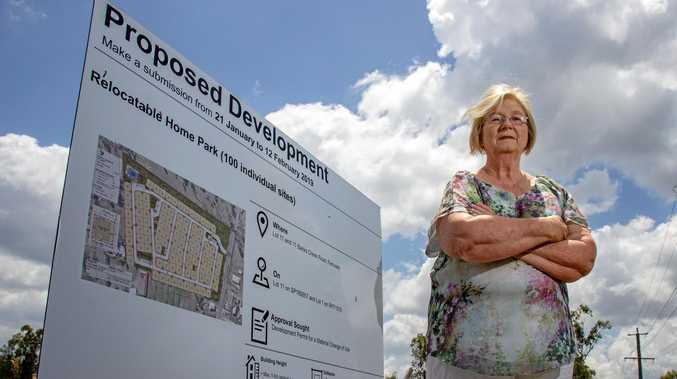 Fernvale Community Association president Julia Caunce said the development would be at odds with the town's character. 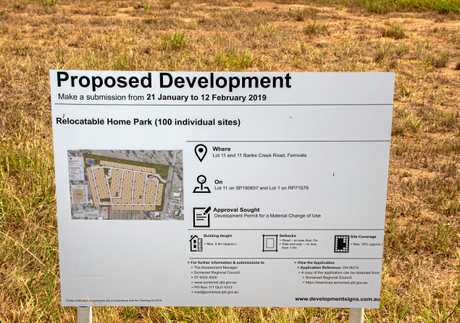 The development would be situated in the heart of Fernvale, and Ms Caunce questioned how the town was supposed to support an influx of residents. She said job prospects were already minimal for residents and public transport was also lacking in the area. She also warned the site's proposed entry and exit onto Banks Creek Rd would put its intersection with the Brisbane Valley hwy under further strain. She said the number of lots on the site was simply to many, and believed the developers were simply trying to maximise their profit. "The population density they're suggesting comes up to 450 people per square kilometre and that's higher than inner-city Brisbane,” she said. Several members of the community association had lodged submissions opposing the development. Ms Caunce said the group was not against developments in the region. Submission to Somerset Regional Council close Tuesday, February 12, and as of last Tuesday, the council had received more than 50 submissions. Mayor Graeme Lehmann said the council would take into consideration all submissions in it decision. "The council considers all properly made submissions and evaluates them equally against the planning scheme,” Cr Lehmann said. The council expects to consider the application at its regular meetings in late March or April. Developer Roubaix also has a second development application in Fernvale before the council. The mixed-use development on the Brisbane Valley hwy would house a shop and multiple food and drink outlets if approved. Roubaix was contacted for comment but did not respond in time for publication.